This is to acknowledge receipt of 19 football uniforms (jerseys) through John Kiarie of CEFA for use by our children. On behalf of the school management, the staff and the children of Wamumu Rehabilitation School, I take this opportunity to sincerely thank you for your generous donation. We assure you that the donation will be used for the intended purpose and will go along way in assisting our rehabilitation processes. It’s our prayer and hope that this generosity and partnership will continue for the benefit of our Children. Traveling with the Ottawa Student Health Initiative (OSHI), Rosie Dell recently worked in Kisumu , Kenya along with the Kisumu District Hospital , the Cradle of Hope Orphanage and St. Theresa's Orphanage. Rosie, along with three other students, spent much of her time working along side these orphanages. The previous year, Julie Hakim, a medical student traveling with the program, stumbled upon these orphanages during her time in Kisumu and saw how they were in serious need of help. This led Julie to start the Tumaini Children's Project, an NGO dedicated to raising funds for these orphanages, enabling them to buy food and clothing for the children. Julie made arrangements so that this year's OSHI's students were not only involved with the hospital, but also with these two orphanages. 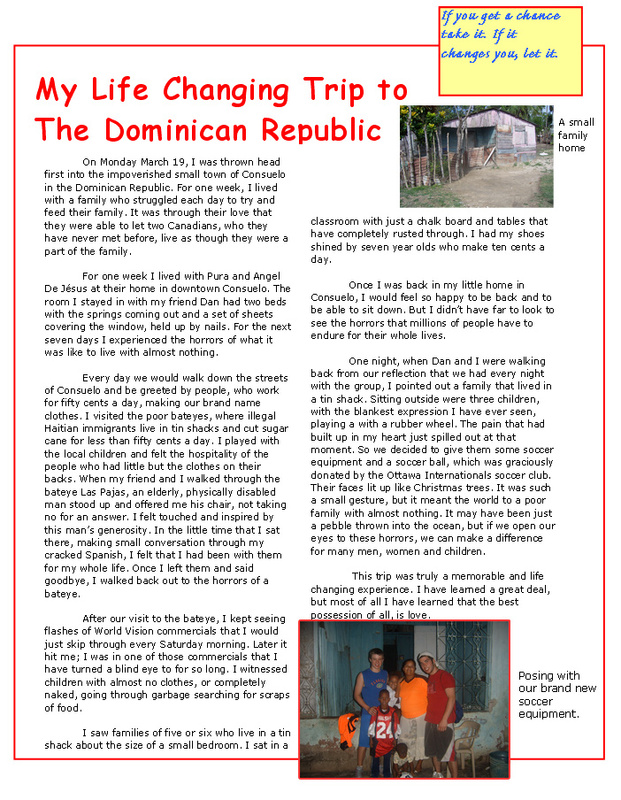 Furthermore, as part of an International Health Course at Ottawa University , another group of students designed a Sustainable Income Generating Project for the orphanages. 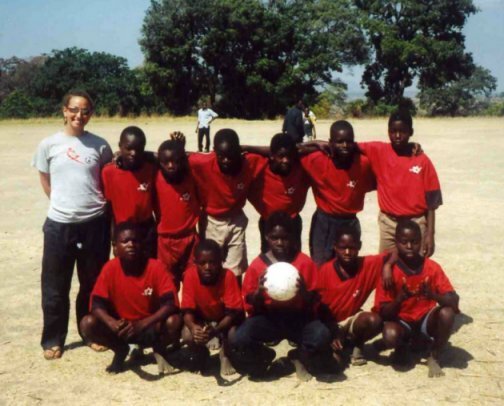 Rosie and her fellow students took this project idea and implemented it at each orphanage. For weeks they worked with the children and house mothers teaching them how to make beads out of magazine paper and glue, and to arrange the beads into beautiful necklaces to be sold in Canada . It is Rosie's hope that the children and house mothers will continue to make jewelry in their absence. Along with the purchase of each item of jewelry, a DVD will be given with the stories of the children and the house mothers. In another fundraising effort, Rosie and her group helped the children to paint pictures which will be turned into greeting cards. These cards will be sold at fundraising events for the Tumaini Children's Project. 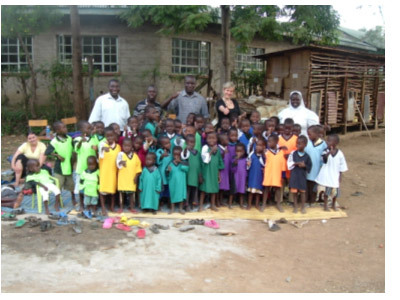 Rosie hopes that the Tumaini Project will continue to provide aid to these orphanages for years to come. Thanks to Julie's hard work, the Tumaini Children's Project will continue to generate funds for the orphanages. The week the group was leaving, the project had funded a new roof to be built over the children's dorm area at St. Theresa's (which would leak whenever it rained). 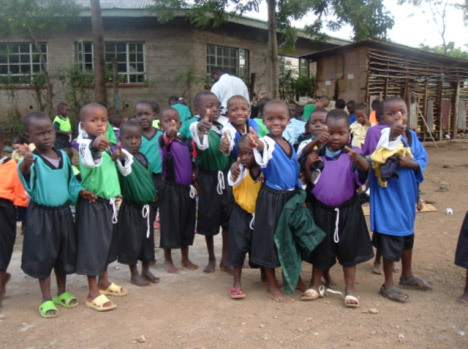 If you wish to read more about the Tumaini Children's Project, please visit their website at www.tumainichildrensproject.ca . 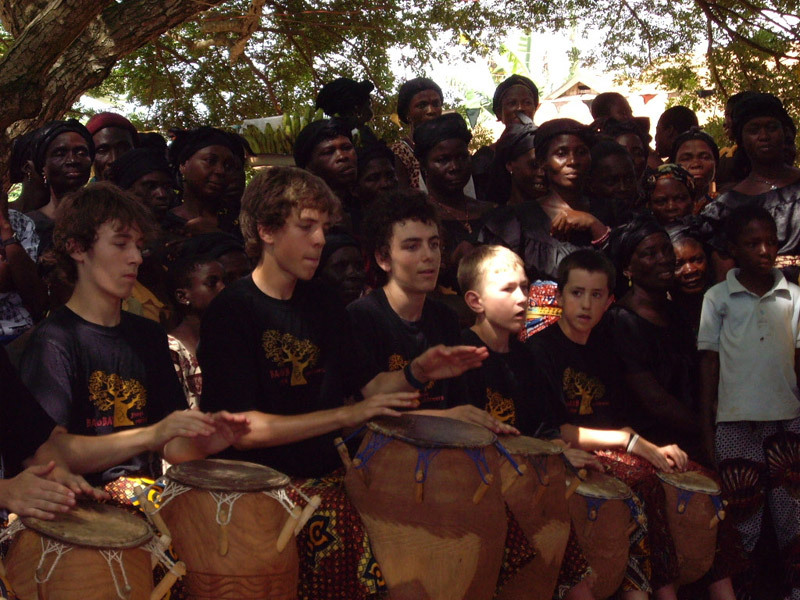 Two of our Ottawa Internationals BU15 Regional players, Jake Watson and Tyvon Greene, traveled to Ghana as part of a training tour for their Ottawa-based Baobab Youth African drumming troupe, led by Kathy Armstrong. 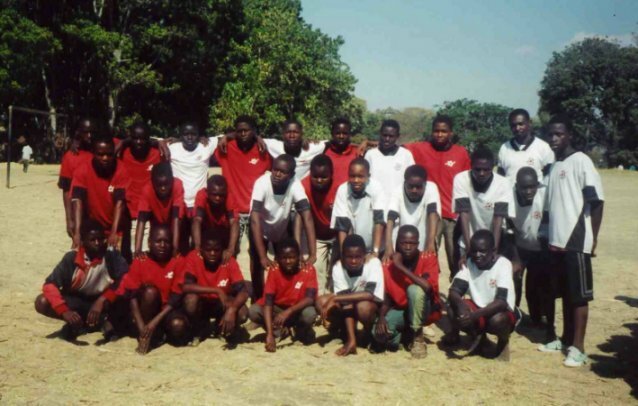 The Ottawa Internationals made a generous donation of soccer equipment and uniforms which were distributed to two villages in the Volta Region of Ghana, West Africa. 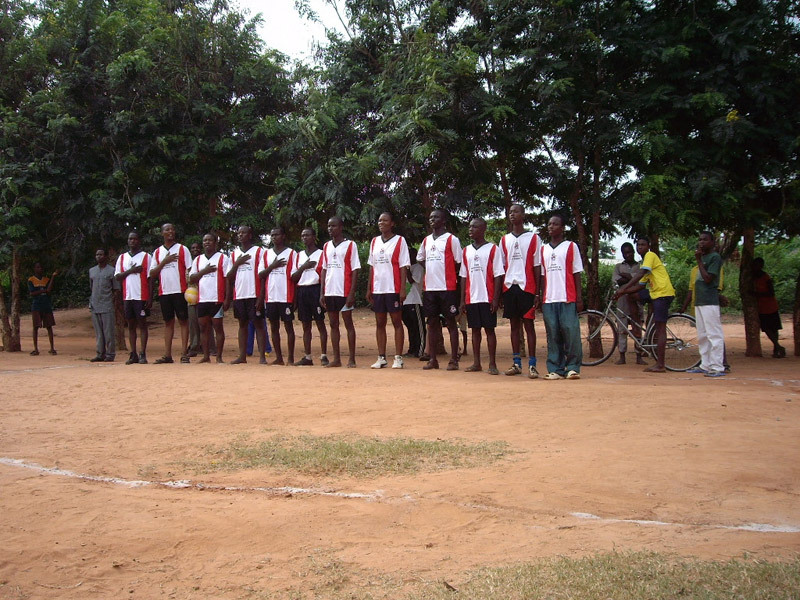 Ottawa Internationals uniforms being worn proudly by the players in, Zogeze a village in the Volta Region of Ghana. 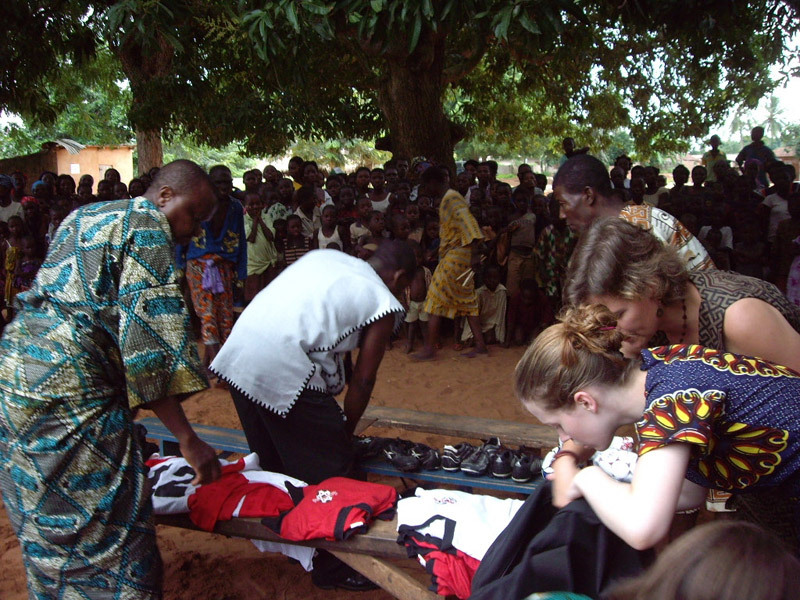 Soccer balls, boots and other equipment donated by the Ottawa Internationals being presented for distribution by the village leaders in Dagbamete, a village in the Volta Region of Ghana. "We had done some research to see if this was something that had been done before and learnt that a tournament had never been put on in the village. To spread the word and get the kids' attention, we put up posters in English and in Chichewa around the village. We announced that there would be 2 age categories, 8-11 and 12-15 , and that kids could come and sign up at our education resource center. Once again, we were unsure of what the turn-out would be. We set our goal at 60 kids but before we knew it 200 kids had signed up for our tournament! Once it started, it didn't stop for 3 days! The winning teams of each category got a soccer ball to keep. The jerseys will be kept at our education resource center for future tournaments and also for kids to borrow if they want to organize their own games. We also provided the resource center with 5 soccer balls so that the kids can sign them our for 1 hour at a time. We donated 5 balls to each school in the area. 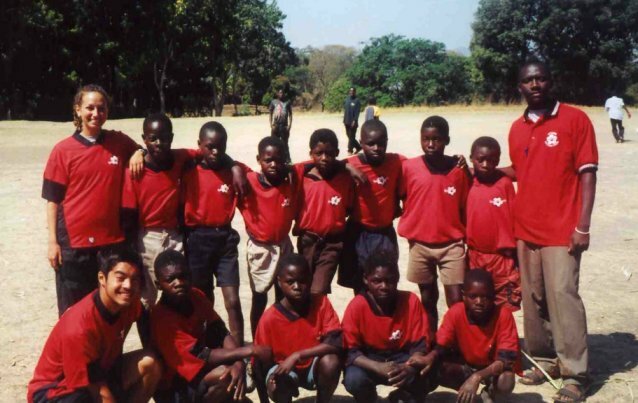 The equipment that the Ottawa internationals soccer club donated brought many new and fun challenges to our group. It was also an excellent means to get integrated into the community which was a key factor in the success of our projects. Most of all, the excitement that we saw in the youth when they got to use brand new equipment and feel like professional soccer players in their sharp uniforms, was unbelievable and very heart warming to our group. We were able to help them experience something that they would have never had the opportunity to, which validated much of our work." Alyssa Bryan - Ottawa Internationals member for life!